The Palm Beach Post reported recently that a medical provider at Wellington Regional Medical Center removed a patient’s fully-functioning kidney during a back surgery after mistaking the kidney for a cancerous tumor. The patient was not afforded an opportunity to object to the removal of her kidney. Further, the surgeon who removed it in error was not tasked with performing the back surgery; his intended role was only to cut the patient open in preparation for her orthopedic surgeons to operate. This is a reminder that as much as we all rely on medical providers’ expertise and depend on them to provide treatment, every so often we do not get what we bargain for. And too many Americans do not receive the medical service they are expecting. According to one study published by the Journal of Patient Safety, between 210,000 and 440,000 patients die annually while being treated after suffering some kind of preventable harm that contributed to their death. And in 2016, medical errors were the third-leading cause of death in the United States, following only heart disease and cancer. Medical malpractice encompasses medical negligence committed by medical professionals that results in a serious injury or even death. These medical professionals can include doctors, nurses, dentists, surgeons, and specialists as well as those operating in other roles. I Think I Have Been Injured. What if I Signed a Waiver Beforehand? You may still be able to recover. Signing a waiver does not absolve a negligent medical professional of liability. Despite whatever paperwork you may have signed, rest assured that you cannot sign away your legal rights for tort claims, which is the umbrella that medical malpractice claims fall under. What Can I Do in Advance to Prepare For Treatment or a Procedure? Do your research. In 2018, independent medical reviews for providers of all kinds can be found online with a simple inquiry. Do a search on potential providers prior to initial visits. If a provider has poor ratings, it is best to choose someone else. Follow instructions. In addition to helping to ensure your safety by complying with instructions, the fact that you have done everything correctly can only help you if you are, unfortunately, injured as the result of medical negligence. Solicit Reliable Caregivers. Depending on the kind of treatment you are scheduled for, you may be sedated and unable to clearly recognize what is happening during your treatment. If possible, recruit a friend or family member to be present during scheduled procedures so that you have someone to advocate for you if you are not able to do so for yourself. 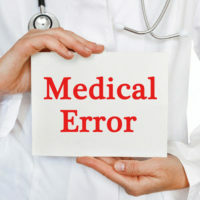 Understanding where to turn when you or a loved one has been injured because of a medical error that could have been prevented can be emotionally-draining and frustrating. The West Palm Beach medical malpractice attorneys at The Pendas Law Firm are experienced in fighting for and helping people like you recover the compensation that you deserve. Contact us today to schedule a free initial consultation. The Pendas Law Firm also represents clients in the Orlando, Fort Lauderdale, Miami, Fort Myers, Tampa, Jacksonville, Daytona and Bradenton areas.